By flicking, swiping, tapping, and holding the board in the same way one would manipulate a real board, players navigate a skate park full of rails, ramps, and half-pipes, performing tricks and jumping over gaps. The game features tutorials and missions to build skills and teach new tricks and a bunch of unlockable parks to explore. 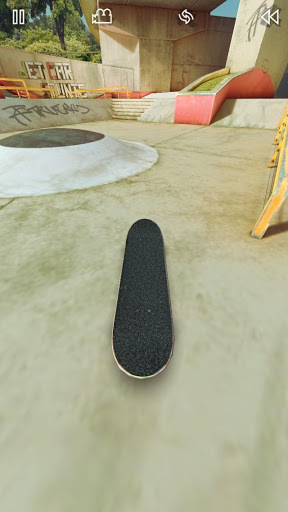 True Skate: TRUE SKATE marvelously simulates the experience of skateboarding by putting players in control of a virtual skateboard, controlled using fingers in place of feet.